A 5-member board of directors is elected to conduct the business and exercise the powers of the Hidden Valley Lake Property Owners Association (HVL POA). Members serve overlapping 3-year terms. The POA governs our community in accordance with the HVL Bylaws, Rules and Regulations. The Board of Directors reviews, approves or denies proposals to add new or amend existing rules. Any standing committee may request such motions. • A board member makes the motion. • If seconded, public comment and discussion takes place. • A board vote to approve, amend, reject or table the motion follows. • Any approved or amended first reading is published. • Further public input is solicited. • The motion is read again at the next board meeting. • Public comments received are noted. • The board votes to approve as read or amended, reject or table the motion. • Approved motions are incorporated into the HVL POA Bylaws. Elections are held each spring to fill any open board positions. POA members receive a ballot by mail to vote for candidates. Any one party (and only one) listed on the deed may vote. Your vote will be counted if your membership is in good standing, meaning you have no outstanding dues, fees, or fines. The presider of the Annual Meeting announces the election results. After each election, the board assigns the positions and committee liaisons from among its members. • Apply in person at the POA Office by the announced deadline. • Current POA employees, contractors and vendors are not eligible candidates. • Submit a Nomination Form signed by two other POA members in good standing. • Provide a current photo. • Candidate info, along with the ballot return envelope, is published here, in the Echoes, via Keep In Touch, and mailed to your home. • Place the completed ballot in the ballot return envelope. • Seal and sign the ballot return envelope. Unsigned ballots are invalid. • Deliver your ballot to the office by the announced deadline. • Drop it off during office hours, mail it or place it in a POA mailbox. The Community Master Plan (CMP) serves as a road map for the future of Hidden Valley Lake. It describes the community’s vision, mission and goals and suggests strategies for achieving those goals. The HVL POA Board, Staff and Committees refer to the CMP to help guide the community’s growth and development. Dedicated community leaders and interested residents formulated the original document over the course of eight Focus Group meetings in 2013 and 2014. The Community Master Plan was approved by the POA Board in March, 2015, and updated in 2016. POA members are encouraged to participate in future Focus Group meetings as the Community Master Plan is continually revised and updated to meet future challenges. Hidden Valley Lake Subdivision (HVL) is a premier, private, residential community that offers abundant recreational amenities in a beautiful, natural setting. 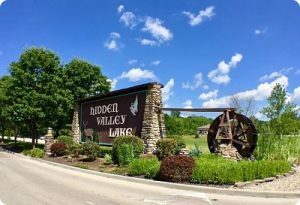 The Hidden Valley Lake Property Owners Association (HVL POA) will continue to be responsible stewards of our resources, both natural and financial, and strive to create an inviting, secure community. Ensure fiscal responsibility and accountability. Preserve, enhance and develop community amenities and facilities. Foster and promote the safety and security of the community. Provide and develop effective and open internal and external communications. Influence and manage external factors that impact the community. Develop and maintain comprehensive community development plans for land use, infrastructure and alternative sources of revenue. Develop and maintain a community public relations and marketing program. Treat property owners, residents, POA employees and volunteers with respect, honesty, dignity and fairness, and protect non-public information.